This is an amazing group of dedicated volunteers! We are so very fortunate to have the privilege of their commitment of time, talent, intelligence, responsibility and passion. A lifetime interest in birding has led me to the DOAS Board of Directors. Over the years, activities such as the Breeding Bird Atlas, Christmas Bird Count, Franklin Mountain Hawk Watch, and area bird walks and paddles have familiarized me with the organization. As a resident of Otsego County for 37 years, my respect for and admiration of our uniquely beautiful environment is renewed on a daily basis. I live in Jefferson with my wife, Gray, and work as a self-employed housepainter, carpenter and landlord. My interest in the environment and more specifically birds dates to the late 1970s when we traveled the country camping and hiking. On my return, I discovered DOAS and became an active member. My first direct participation was with the then newly-acquired Sanctuary, and I have stayed involved ever since. I feel strongly that those of us who appreciate nature have a responsibility to take action to protect it in return. 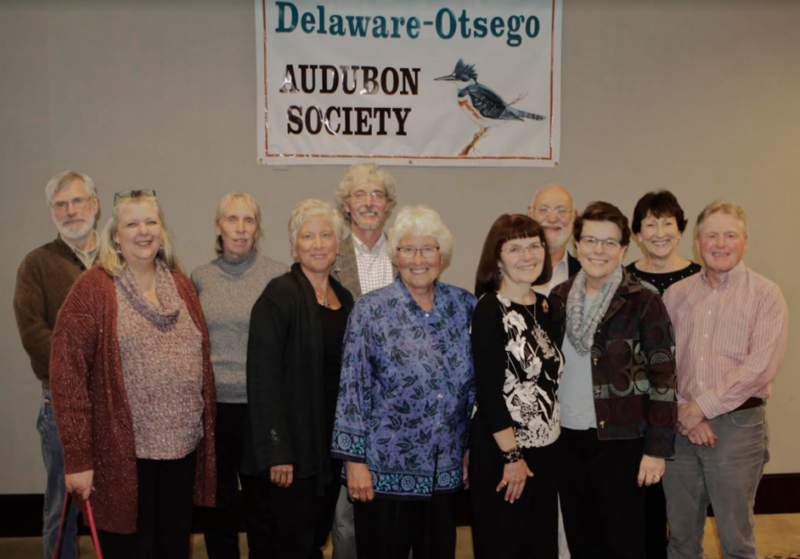 I have served as DOAS President, Vice-President, and Conservation Chair, as well as holding executive positions on the Audubon Council of NY State, and the NY State Ornithological Association. 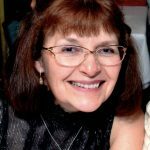 I am a career environmental educator with over 25 years experience teaching a variety of natural history topics for all ages and audiences. I have worked as an educator, administrator and wildlife rehabilitator with Theodore Roosevelt Sanctuary, the first National Audubon Sanctuary in Oyster Bay, NY, and supervised extended overnight field study programs for inner city youth with Queens College Center for Environmental Teaching and Research at Caumsett State Historic Park, Lloyd Harbor, NY. In addition, my experience includes raptor and songbird banding, censusing projects and marine ecology studies through work with Save the Sound in Stamford, CT. I hold certifications as a facilitator for national environmental education curriculums including Project Wild, Aquatic Project Wild, Project WET and Flying Wild. In recent years, my husband Jeff and I founded Wildlife Learning Company to bring environmental education opportunities and programming to Central NY. I continue to work with Otsego County Conservation Association to help coordinate the collaborative annual Earth Festival event in Milford, NY. 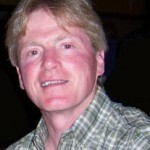 I held the Executive Director position with Cooperstown Chamber of Commerce from 2009 to 2011 and currently work in website development, technology training and marketing support through Central NY Mobile Marketing, an independent, home-based business in Hartwick, NY. As long as I can remember birds have been a part of my life. My mother was always very interested in them and passed on that interest to her children. 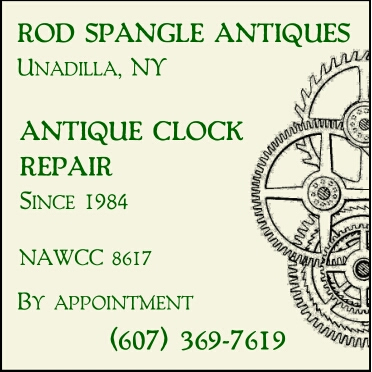 I have lived in Treadwell, NY for 27 years and spent most of them feeding and watching birds. A close friend was a wildlife rehabilitator for much of that time and often had hawks, owls, or turkey vultures. I’m sure this sparked my love of the raptors. Twelve years ago my husband and I bought about 20 acres and built our horse barn just on the edge of Treadwell. I trail ride, and at least once a year foot hike, the adjacent 400-500 acres, enjoying every bit of the diverse bird life found here. 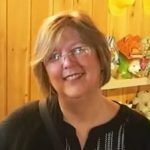 I joined the board of DOAS in May of 2014 and as a former employee of Hartwick College for over 24 years as a database manager, I hope to assist DOAS with various computer related tasks. 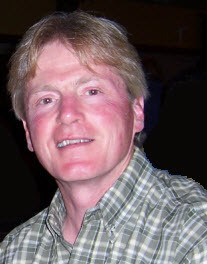 I grew up in Holbrook, Massachusetts and moved to Oneonta in 1980 to teach at Hartwick College, where I am a mathematics professor. I began birding while in college. After I had learned to recognize some birds by sight, a physics professor who had become a birding friend taught me to recognize song sparrows and towhees by their song, for which I have been grateful ever since. 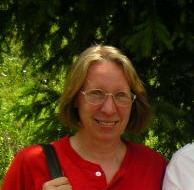 My wife Sandy Bright and I enjoy birding and other outdoor activities together. We participate each year in the Oneonta and the Fort Plain Christmas Bird Counts and in the USGS Breeding Bird Survey each June. We also surveyed a number of local blocks in the 2000-2005 NYS Breeding Bird Atlas. My family and I moved to Oneonta 22 years ago, and we fell in love with the city and the region. I’ve had an interest in birds since childhood, and have pursued my interest wherever I’ve lived, seeking out Audubon-led field trips in Connecticut, Colorado and Wisconsin. Oneonta was no exception, and through the DOAS-led field trips I’ve gotten to know a number of members of the organization. I’m excited to have the opportunity to work with many of them on the Board. Since I was a child, I have loved and raised animals of all kinds, including a few birds such as Budgies and Cockatiels, but what really clinched my fascination for birds was a SUNY Albany course in Ornithology. My beloved Professor Hudson Winn took my college class into the field, all around upstate New York, to learn how to identify local birds and their songs, and I became hooked for life! I moved to this area in 1980, and while teaching Biology at South Kortright Central School, I met my husband, Alan. Since 1986, Al and I have lived in the same country house, about 8 miles outside of the village of Delhi in the Town of Meredith. In 2012, I retired from teaching after 30 years of service collectively to SKCS and Delaware Academy in Delhi. My service to bird science includes assisting with the data gathering for the 2000-2005 NYS Breeding Bird Atlas and since 2013 I have participated in the Cornell Lab of Ornithology’s Project Feeder Watch. As a retiree, I’m an avid gardener, birder, weather watcher, and amateur astronomer, and I spend a fair amount of each day outdoors when the weather permits. I have been a member of DOAS since 2016 and feel honored to be a part of this energetic Board of Directors. Currently, I administer the DOAS Facebook page and Hospitality needs for our programs and Charter Dinner. 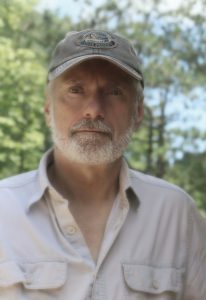 I have been a student of nature since I was very young, growing up in northwestern CT with easy access to lakes and woods around my house and the nearby Appalachian Trail. After interning with the Sharon Audubon Center, I attended the National Audubon Convention in Milwaukee, Wisconsin as a student delegate. That experience opened my eyes to not only the seemingly hidden world of birding, but the pressing needs for effective conservation policies and environmental education. I pursued those paths in college at Oneonta and Hartwick, working with J.R. Miller, John New and Jo Koenig among others developing outdoor education programs with area middle schools at the Pine Lake Environmental Campus. Ultimately I went a different direction and enjoyed a career in software design, librarianship and higher education. Now that I’m retired, I am thrilled to dedicate more time to my passion for birding and specifically learn more about raptors through the Franklin Mountain Hawk Watch and the Golden Eagle Research Project. 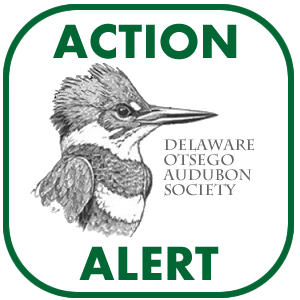 I have participated in area bird censuses off and on since the late 1970s, including the newly established Delaware County Christmas Count Circle, and recently worked with DOAS as a counter with the Bluestone Wind Project. 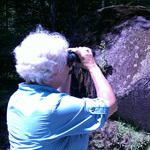 I love living in the northern Catskills where a mountain hike or birding trip to the reservoirs is part of daily life. I am excited to work with the great folks on the DOAS Board and contribute in whatever ways are needed. 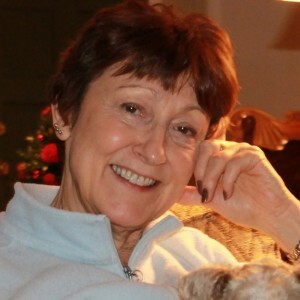 A long time member of DOAS and formerly Board President of the Greater Oneonta Historical Society, Janet joins the DOAS board with enthusiasm and energy. Her expertise and experience with non-profit organizations are a true benefit to the organization. 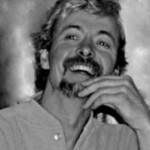 In the late 80′s I joined the board of the DOAS. Past positions I have held include Field Trip Chair, Education Chair, President and Secretary. I’ve been involved with the hawk watch since Andy Mason started it in 1989. Raptors are a special interest of mine. In recent years I have been working closely with Golden Eagle researchers in the central Appalachians to support their efforts to define migration routes and winter distribution areas. 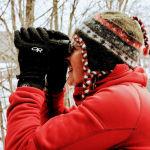 I was a Regional Co-coordinator of the NYS Breeding Bird Atlas and am currently the New York State Coordinator for the Appalachian Eagles Project. 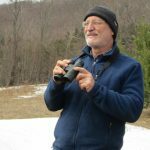 In the past I have conducted a Breeding Bird Survey Route, surveyed wilderness areas in the Adirondacks for the Breeding Bird Atlas and been a Regional Editor for NYSOA’s journal The Kingbird. My wife Jo and I live in a passive solar house we built in Burlington where I grow Christmas trees. I enjoyed observing nature at a young age. I dreamed of becoming a wildlife biologist with a focus on herpetology. One of my first jobs was at Rogers Environmental Conservation Center in Sherburne, NY. There I had the opportunity to feed a variety of hatchery animals including ducks and geese. Reorganizing their reference library was most rewarding, as I spent more time reading than organizing. My life found it’s own path, leading me to pursue a career in advertising, industrial, and commercial photography. With 20 years of experience in the field, I accepted a teaching position with DCMO BOCES in 1993 to start a new academic program in Visual Communications. After 10 years in the classroom, I moved to a position as Coordinator of Instructional Technology. I retired from BOCES in 2012. Blending my abilities as a photographer and teacher with my appreciation for nature and wildlife, I now dedicate my time to studying and photographing animals in their natural habitats. I also teach photography workshops and present programs, primarily to children; on reptiles and amphibians and their place in the environment.